A judge for the Brazilian Supreme Court [official website, in Portuguese] on Tuesday upheld a ruling [press release, in Portuguese] blocking former president Luiz Inacio Lula da Silva from taking a ministry post. Last week’s order blocking the appointment came shortly after [JURIST report] he was sworn into the position. A full decision on the issue is expected when the full court convenes next week. 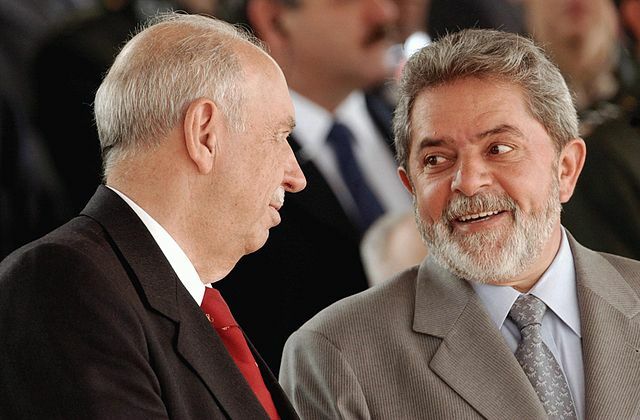 Lula was charged JURIST report] earlier this month in connection with money laundering and misrepresentation of assets involving a giant graft scheme at Petrobras. However, a Supreme Court ruling late Tuesday that the matter be sent to Brazil’s highest tribunal has essentially eliminated [WSJ report] the chance that he will be immediately arrested. Some contend that Lula’s cabinet appointment was meant to make him harder to investigate [AP report] or prosecute, a claim current President Dilma Rousseff denies. Brazil’s political establishment has been in turmoil as many powerful politicians including former presidents have been recently brought to the center of embarrassing corruption investigations. Also in March, Brazil’s Supreme Court unanimously authorized [JURIST report] the corruption charges against member of Congress Eduardo Cunha to proceed. Eduardo Cunha was implicated in the Petrobras scandal. Rousseff herself has been implicated in that very same scandal and has been at the center of impeachment proceedings [JURIST report] for months. She spoke against the accusations against her earlier this week, stating that she will take legal action [JURIST report] against the senator who made statements against her for defamation. More than 100 individuals and 50 politicians have been arrested in connection to the Petrobras scandal.